Water Bugs NYC | Water Bug vs. Cockroach: What's the Difference? 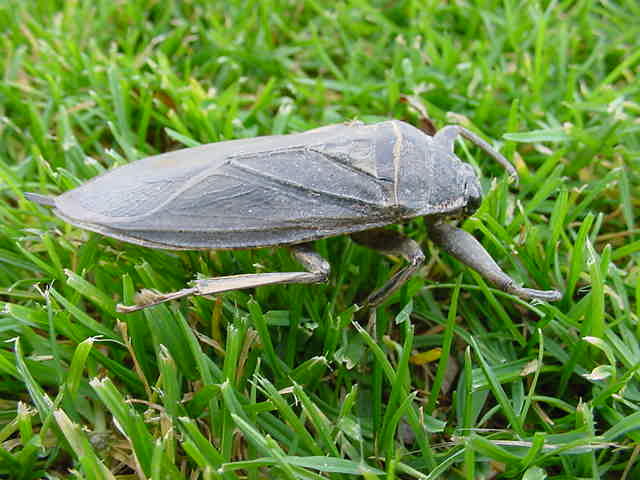 As for cockroaches, water bugs enjoy being in wet areas, but they are not real water bugs. They are actually cockroaches as some of the species of cockroach are referred to as water bugs. When you need a water bug or roach exterminator, you can count on Control Exterminating. It is not uncommon for people to not know the difference between a water bug vs. cockroach. Water bugs are from the Hemiptera family. They get the name “water bug” because they have paddle-like legs that help them thrive in aquatic environments. As for cockroaches, water bugs enjoy being in wet areas, but they are not real water bugs. They are actually cockroaches as some of the species of cockroach are referred to as water bugs. 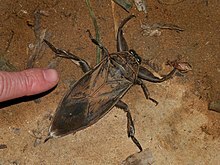 Examples of true water bugs are giant water bugs (Belostomatidade), water scorpions (Nepidade), and water boatmen (Corixidade) to name a few. The American cockroach is also referred to as the American Water Bug and can adapt quickly to its surroundings. 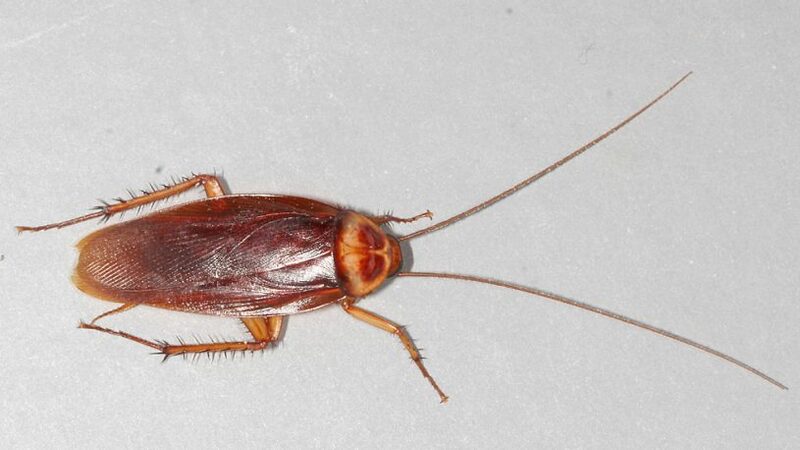 The main difference between cockroach and water bug is that cockroaches do not need to live in water the way that true water bugs do. Cockroaches can survive in areas that are both moist and warm while real water bugs, however, need large bodies of water to ensure their survival. Cockroaches can adapt to their surroundings, and although they frequent warm, moist areas, they are not aquatic. American cockroach or American water bug adults grow to an average length of 1.6 inches. They are reddish-brown in color and have a yellowish margin on the body region behind the head. Water bugs can survive in dry areas if they have access to a water source. They prefer warm temperatures and can survive in sewers and will often move outside during warmer weather. Cockroaches can lead to serious health problems. They are known for spreading disease-causing bacteria including Salmonella which they carry on their legs and deposit on food. House dust which contains cockroach feces and body parts can trigger an allergic reaction including asthma in individuals who are susceptible. How Are Cockroaches and Water Bugs Getting into My House or Business? The most common way for American cockroaches to enter your home or business is through your drains. They can also enter your property through cracks and other openings, and they can even come through the gap under your door. Water bugs rely on water to survive, and more often than not they will enter your home or commercial property and move towards areas that are warm and moist. Water bugs enter homes and businesses looking for water. To ensure water bugs stay out of your home or business, you need to take care of any leakage or drainage issues inside your property. It is also important to seal or throw out any leftovers and clean up crumbs.